I am one of those people that really thinks Valentine’s Day is all about marketing and money making. 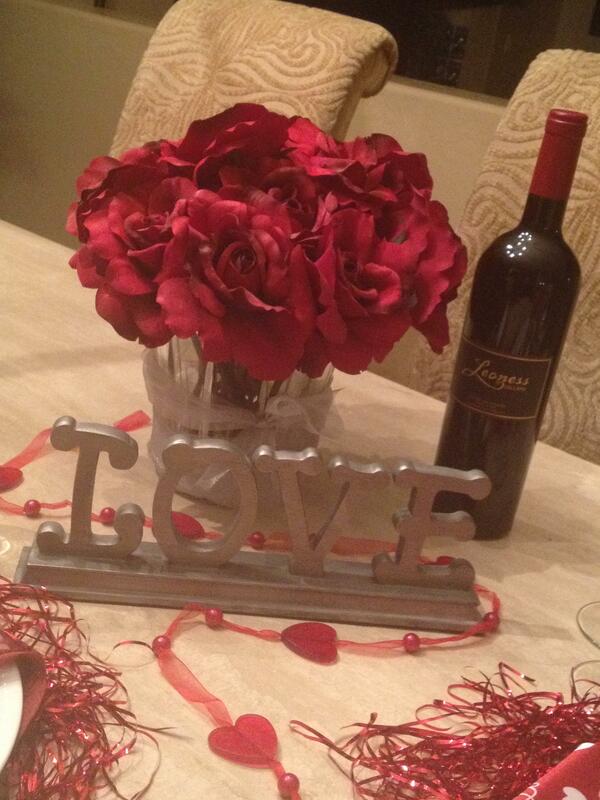 Yet I do love to make Valentine’s boxes for my kids, bake cute cupcakes and make a great meal! 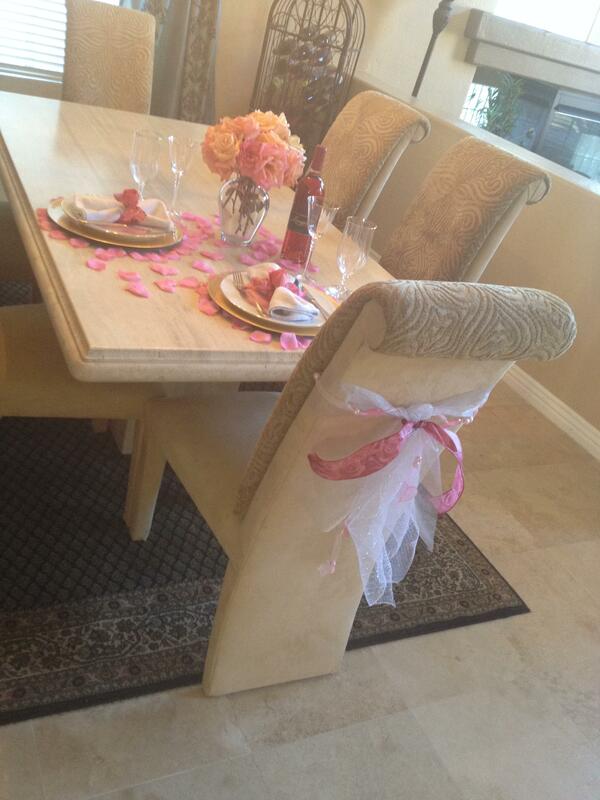 I picked up a few things at the Dollar Tree this year and put together two cute table settings!! 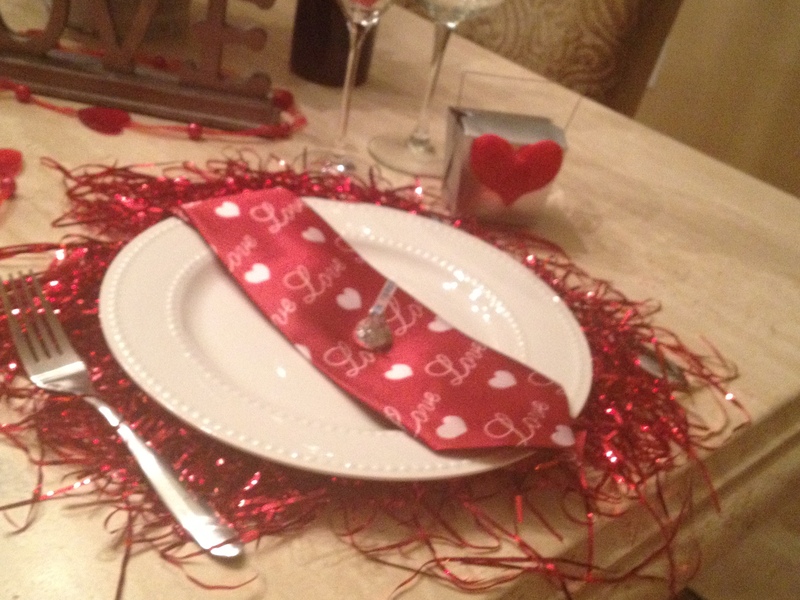 Loved the cute heart ties from the dollar store, what a great way to make his and hers place settings. I glued the felt hearts to the treat boxes and will fill them with hersey kisses or some oreo bon bons. Just depends on how much time I have this week to make the bon bons. 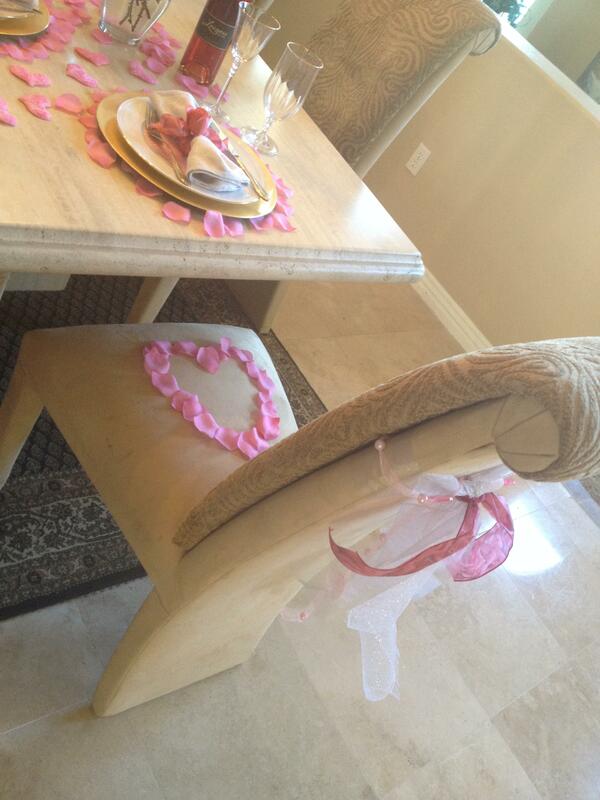 This whole table setting cost me $4 to put together. 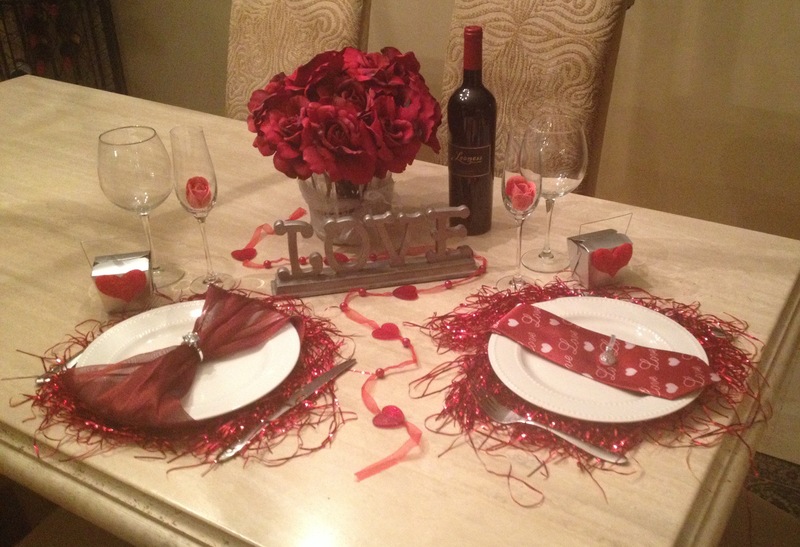 All I bought was the silver cartons, the red felt hearts, the metallic red basket filler and the tie. The rest is stuff that I already had around my house!! The only other thing that I might add would be a couple candles for ambiance but I felt that it was overcrowded with them. 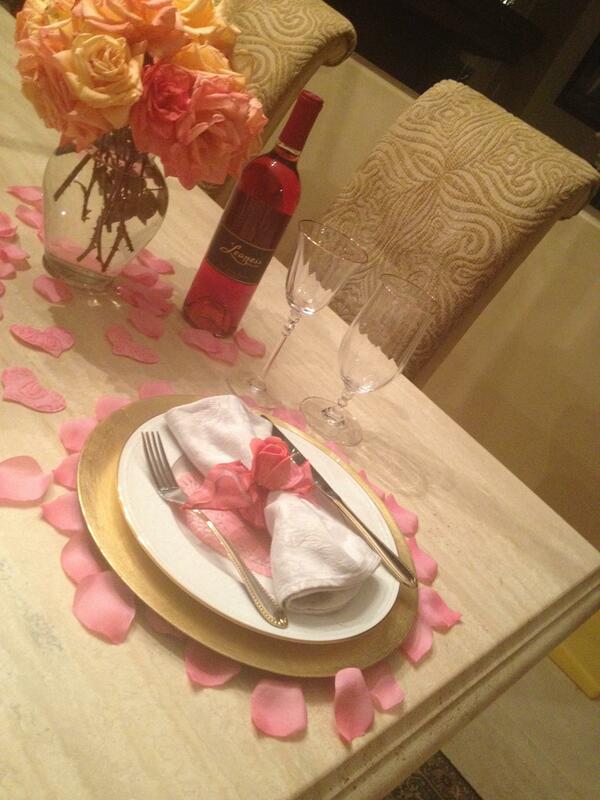 I think this setting is a little more romantic. 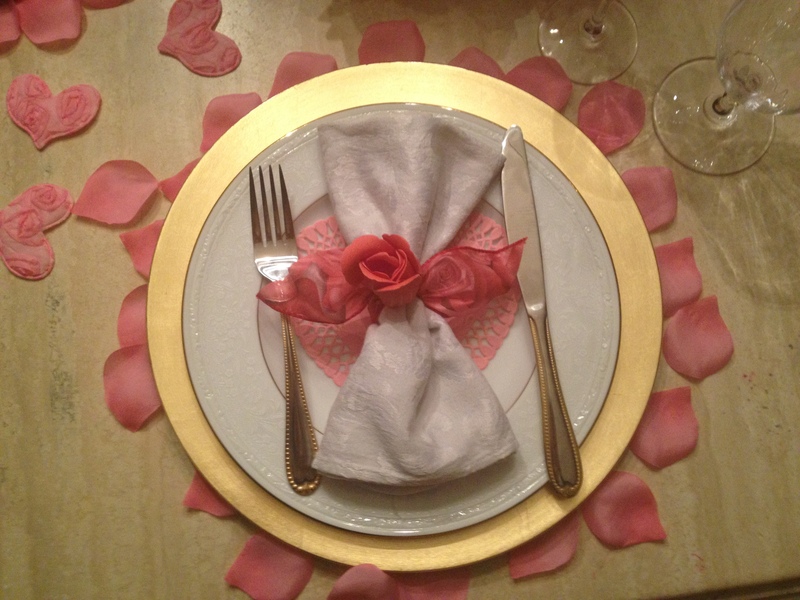 It has more of a formal dinner feel to me, I love how the gold looks with the pink. 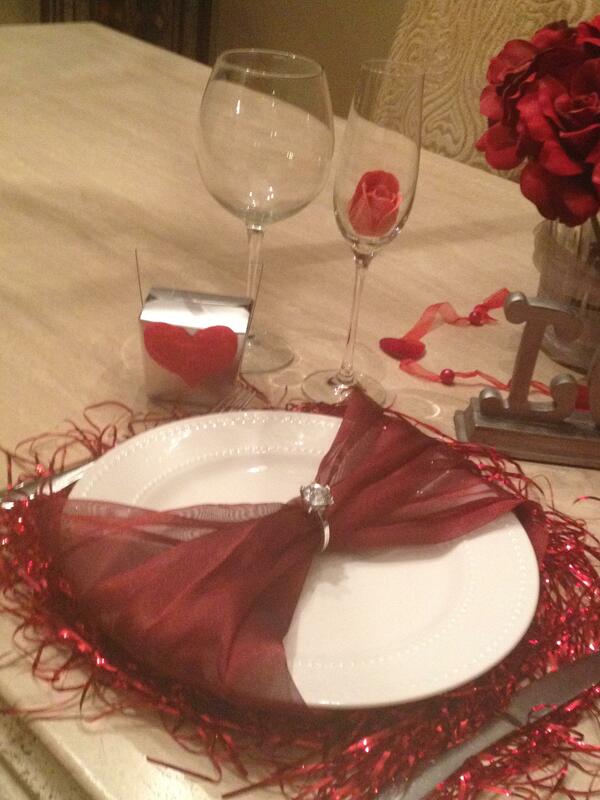 This setting was put together for $2, thats right $2!!! 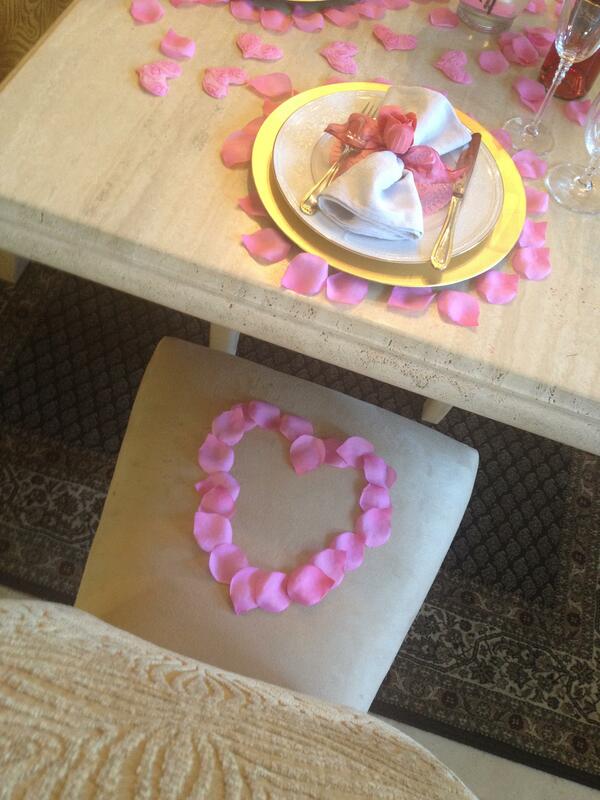 I already had pink petals and the ribbon on the back of the chairs was from my ribbon bin. 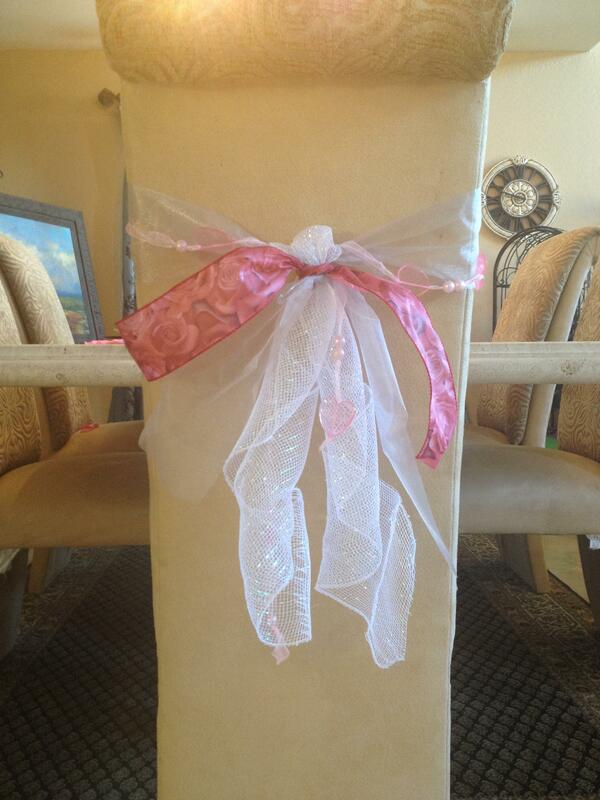 All I bought was the pink felt hears and the pink garland on the back of the chair. I always think fresh flowers of any kind are the best to use and these were cut from my own rose bush. 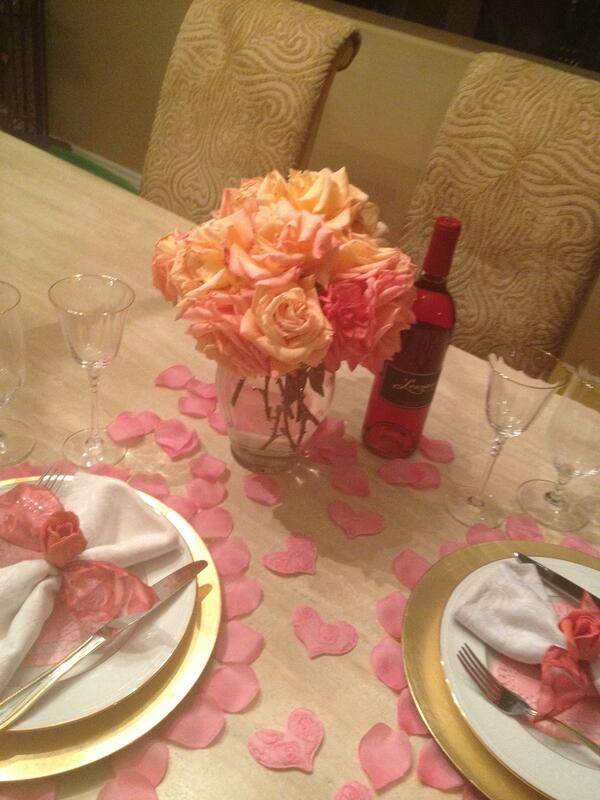 The only other touch I would add to this setting is a framed printout of the dinner menu and maybe some candles.